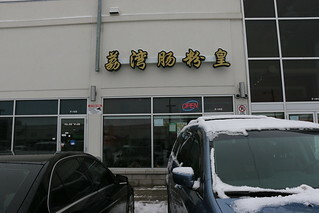 Authentic congee and rice rolls. That’s all there is n the menu. Of course, with different toppings and flavours. 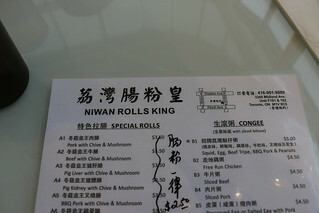 The name, as you can tell, Niwan Rolls King. I think Niwan is someplace in Asia. A restaurant doesn’t need 4 forks and 2 glass cups. Sometimes simple is best. 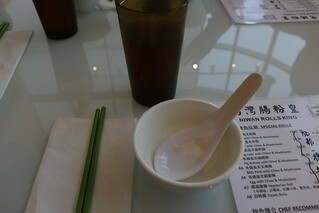 And the chopsticks, bowl and spoon were plenty enough to use..at least for the dishes that we ate. 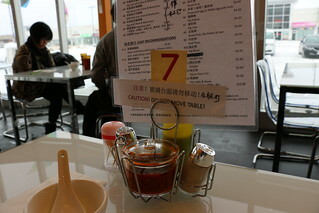 The place is rather small, only having tables that could fit a maximum of 4. Not really roomy but eh, it’s a fast food environment, sort of.. 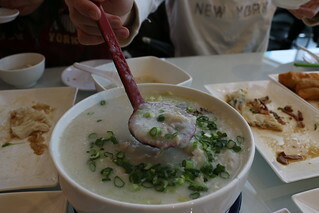 This may be the best fish congee I’ve had. But the fish had too many bones, and I couldn’t enjoy a spoonful without having to stop and pick out the bones. Also, it might have MSG, after the meal, I went home, very thirsty. Deep fried sweet dough with assortments. 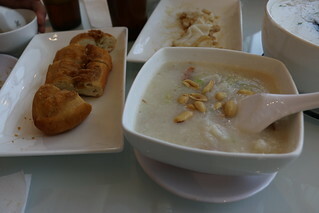 This wasn’t too bad, but I might be biased, I’m not a fan of this…it’s just congee with different things thrown into it. 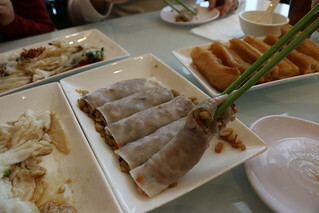 This is the vegetarian rice roll. I had this before, and it’s like eating the insides of fun guo . Crunchy.